Transitshop’s Chris O’Brien first started playing guitar at the age of 12 and went on to develop his skills as a rock lead guitarist. Primarily focusing on distorted tones and complex solos in bands led by others, he found himself sidelined with a shoulder injury in 2009 that hindered his lead guitar ability. After a period of fevered inspiration, he crafted the lushly epic alternative/indie-pop persona that is heard on his trio’s debut, Velocity (Rock Ridge Music). The stunning debut is an infectiously catchy hybrid of classic 1980s new wave transcendence and potent modern pop-punk dynamics. “I never thought I would write songs, but when the injury slowed me down for a bit, I just started honing in on this specific sound with clean guitars, synthesizers, fast running bass-lines, and driving drums,” O’Brien reveals. In 2010 he formed Transitshop and issued the band’s debut EP. O’Brien first gained production experience by working with others on short music projects for film, TV and advertising. With this panoramic musical perspective he has been able to architect the euphoric and dreamy Transitshop aesthetic. The shimmering guitars, richly longing vocals, and urgently powerful rhythms on Velocity make it a passionate and captivating debut. The gorgeous “Life Goes On” bursts forth with airy keyboards, liquid guitars, heart exploding drums, and sweet and luxuriously pining vocals reminiscent of Morrissey. But unlike the melancholic Smiths leader, O’Brien brings an unflinchingly upbeat message. “That song is about life throwing curveballs, and figuring out how to deal things that are out of your control” he says. The luminescent nostalgia of “Be There Again” poses a familiarly poignant question: What if I acted differently at a crucial point in my life, how would things turn out differently? Transitshop is rounded out by the fluid rhythm section of bassist Vinnie Pastore and drummer Derek Gallagher. The three-piece has been favorably compared to both atmospheric bands like The Cure, The Police, Crowded House and The Cars, and more modern acts like Death Cab for Cutie, Ra Ra Riot, Tokyo Police Club and The Bravery. The band’s previously issued independent EP debuted at #20 on the CMJ’s Top 200 Radio Chart , and tracks from it received play from over 50 FM stations nationwide. Transitshop’s emotionally charged live show continues to mesmerize audiences where they’ve shared the stages with such diverse and established bands as Goo Goo Dolls, Alkaline Trio, Walk The Moon, A Silent Film, Fastball, An Horse, State Radio and more. During the winter of 2013 Transitshop joined Candlebox on part of the multi-platinum Seattle band’s 20th anniversary tour. 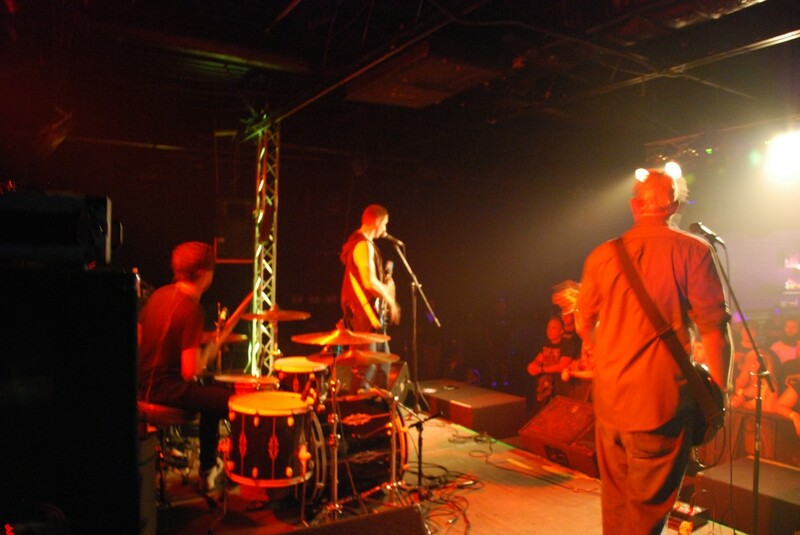 In the Fall of 2013 Transitshop toured with platinum selling rock band Trapt, in support of Transitshop’s “Velocity” album, which was released in August via Rock Ridge Music.